Archery GB operate a classification scheme which is open to all archers and bow types. For adult archers, the classifications start at 3rd class and move up through 2nd class, 1st class, bowman, master bowman and grand master bowman. For junior archers, the classifications start at 3rd class and move up through 2nd class, 1st class, junior bowman, and junior master bowman. The rounds that may be used to qualify for each classification become more restricted as you progress up through the scheme. e.g. 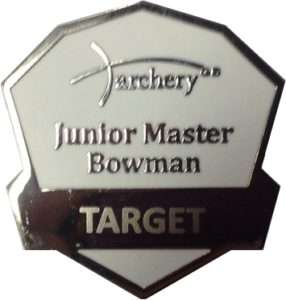 3rd class can be achieved with almost any recognised round whereas there are only 4 rounds that can be used for grand master bowman.